Full Name: Eva Piera Rojo. Place and date of birth: May 4, 1968, Madrid, Spain. Degree in Economics and Business, Complutense University of Madrid (1990). Master’s Degree in International Economics, University Paris-X-Nanterre, France (1991). Executive Development Program, IESE (2004). Women on Boards of Directors Program, IESE (2013). MAPFRE Group Chief External Relations Officer (since October 2017). Global Head of Public Affairs at BBVA (2013-2017). Member of the European Council on Foreign Relations (from 2014). Vice Minister for Economic Affairs, Madrid Regional Government (2008-2012). Director-General of Economy, Madrid Regional Government (2006-2008). Director-General of Employment, Madrid Regional Government (2006). Executive Chairwoman of Avalmadrid (2006-2008). Chairwoman of Capital Riesgo Madrid and the Supervisory Board of the Inicap I seed capital fund (2008-2012). Chairwoman of the Science and Technology Consortia TecnoGetafe, Leganés Tecnológico, Móstoles Tecnológico (2008-2012). Chairwoman of the Innovation Center for Logistics and Road Transport, CITET (2008-2012). 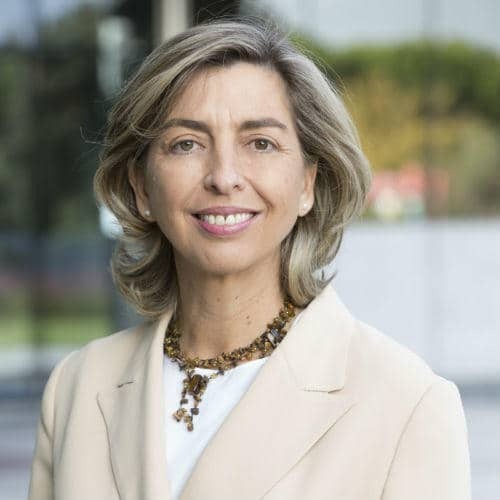 Deputy Chairwoman of the Board of Trustees of the Madrid Regional Energy Foundation and member of the Board of Trustees of the “Madrid Excelente” Foundation (2008-2012). Managing Director, Strategic Acquisition Finance Head for Spain and Portugal, Société Générale (2006). Vice President, Structured and Syndicated Finance, Fixed Income – Capital Markets, Société Générale (1993-1999).